In this Christmas-themed, ready-to-print game for children aged 7 to 8, the children are set the mighty challenge of freeing Santa, who is being held hostage by his elves. Could it be that there will be no Christmas this year? 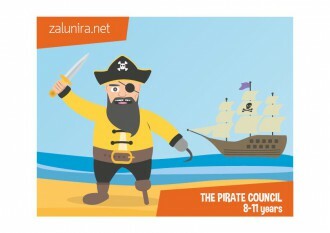 In this treasure hunt for organising at a birthday party, Alunira's pirate chiefs are angry and accuse each other of having stolen the Council's treasure. Ready-to-print game for ages 8-11. 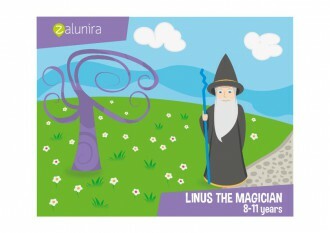 In this exciting fantasy and magic-themed treasure hunt, children will help the magician Linus regain his magic powers. It's a role-playing game for children from 8-11 years old, for organizing at a birthday party. 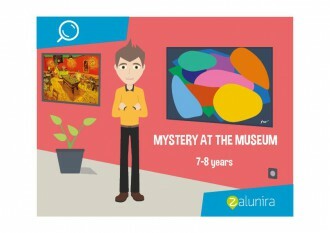 ‘Mystery at the Museum’ is our new ready-to-print detective mystery (7-8 years). It's a great activity if you're planning a birthday party at home. Or to play just for fun during the holidays. In this fairy-themed treasure hunt, children must save Elanie the Fairy, who has been taken prisoner by the wicked witch Dokela. Version for 7-9 years. In this circus-themed detective mystery, the young detectives have to help the police and discover which circus artist kidnapped Saphir the monkey. Ages 8 and over. Help Isen the Mermaid and the people of the Alunira Sea to break the spell that has been cast over their treasure, a wonderful adventure full of puzzles and riddles to play as a group. A fun game to print for a birthday party for children aged 8-9 years. In this treasure hunt, children go in search of the Easter guardians, spurred on by the puzzles and challenges that make up the adventure. 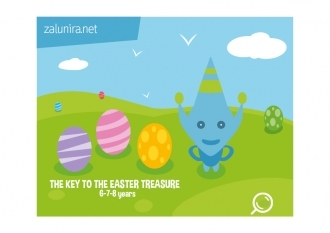 Will they succeed in recovering the key to the Easter-egg treasure chest? Ready-to-print game for 6, 7 and 8 years. To help Princess Nayia, the children are off to the kingdom of Alunira to find all the magic ingredients that will free Prince Ahiel from the clutches of the wicked witch Dokela. 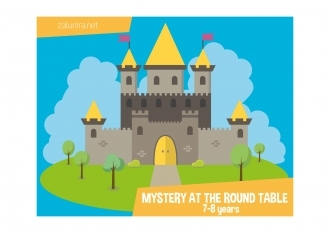 A ready-to-print birthday party game for children aged 7-8 years. The sacred book belonging to the animals of Alunira was stolen from the Lions' village by one of the animal tribes that live in the Alunira jungle. The Lion chief Matamou needs the children's help, but will they be able to solve the riddles and clues, complete the challenges and recover the book? Version for 7-8 year-olds.